Normally we don’t lead our Diamond League recaps with the men’s javelin and women’s 200, but considering that the distance races in Birmingham on Sunday weren’t particularly great, those two events — the most exciting of the day — deserve some extra publicity. And after two Diamond League meets in four days, the best event of the week was clearly the men’s javelin. A terrific competition in Rome on Thursday saw Kenya’s Julius Yego and Trinidad & Tobago’s Olympic champ Keshorn Walcott both set national records — and only finish second and third. But the action in Birmingham on Sunday topped that, as Yego uncorked a 91.39-meter bomb on his final throw that was initially ruled to have landed out of the sector but later reversed. That throw — the longest in the world in nine years — earned him the win over world champ Vitezslav Vesely and Walcott, who also re-broke his national record from Thursday. On the track, the race of the meet was the women’s 200, in which Jeneba Tarmoh got the win over Allyson Felix after both were awarded the same time of 22.29 (don’t worry, there was no controversy this time). The finish was incredibly tight as Tarmoh, Felix and Great Britain’s 19-year-old Dina Asher-Smith (22.30) all crossed within a hundredth of a second of each other. In the distance events, Mo Farah withdrew hours before the meet which allowed James Magut to take the win in windy conditions in 3:37.61. In the 800s, there were wins for Nijel Amos (1:46.77) and Eunice Sum (1:59.85), while Kenya’s Virginia Nyambura continued her steeplechase success with her second DL victory in three races. In the day’s final event, the Netherlands’ Sifan Hassan secured a commanding win in the women’s 1500, running 4:00.30. Olympic champ Greg Rutherford earned an impressive win in front of the home crowd, leaping 8.35 meters, while 21-year-olds Marvin Bracy of the U.S. (1st, 9.93) and Adam Gemili of Great Britain (2nd, 9.97) both ran PRs in the 100 (though Gemili had to be carted off with a hamstring injury). In the 100 hurdles, world leader Jasmin Stowers false-started, paving the way for 2008 Olympic champ Dawn Harper-Nelson to get the win. Event by event recaps and analysis below beginning with the javelin and 200, and then the distance races. Vitezslav Vesely, the 2013 World Champion who won the great javelin earlier in the week in Rome where he had to throw 88.14 to beat the national record of Yego, was having a terrible competition here until the final throw. He was second-to-last until he unleashed an 88.18 season’s best. 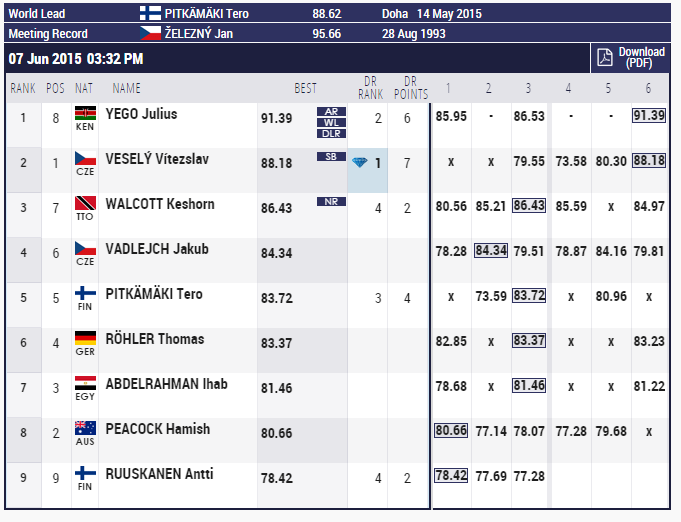 Walcott did not improve and that left Yego. There had not been a legal throw over 90 meters in a major competition since 2008 according to the broadcast. 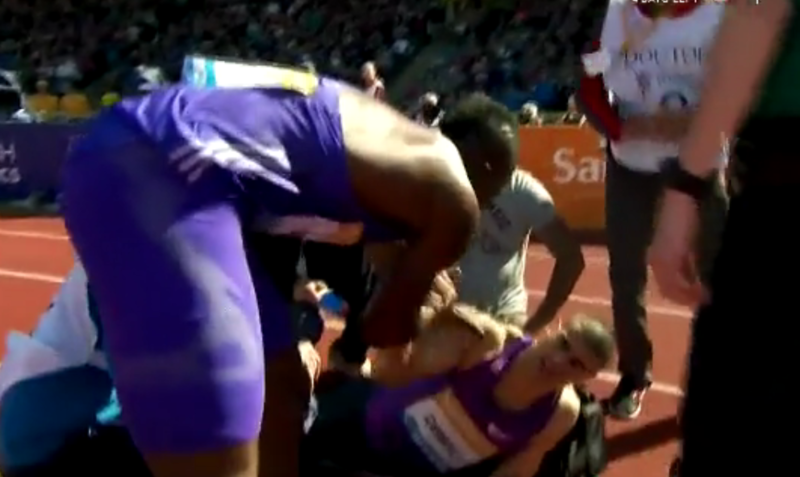 The broadcast ended with Yego being DQ’d for the throw landing outside of the sector. However, the officials reversed course and Yego won the competition with a 91.39 national record to become the 9th-best performer ever. LRC Fair or Foul? Should Julius Yego’s 91.39m Monster Javelin Throw Have Counted in Birmingham? Our snalysis using a free online photo editor shows it should be a foul, butJesse Squire tells you why it counted. What a race. This race featured Jenebah Tarmoh, the Rome Diamond League winner, Allyson Felix, the Doha winner, world leader and best 200m runner of the last decade, and British 100m world junior champion Dina Asher-Smith. It did not disappoint. Tarmoh and Asher-Smith got out better than Felix on the curve, but all three were very close coming down the straight as Felix battled back. At the line, all three dipped in a blanket finish. Tarmoh got the win in 22.29, the same time as Felix, with Asher-Smith .01 back in 3rd. After Felix opened in 21.98 in Doha, many assumed she might run away from the world in the 200m this year. Think again. This race showed she could have some stellar competition at Worlds. Tarmoh and Felix will always be linked because of their tie and non-run-off at the 2012 Olympic Trials 100m, but now they might be linked for another reason. Can we say it? Dina Asher-Smith has officially arrived on the senior stage. 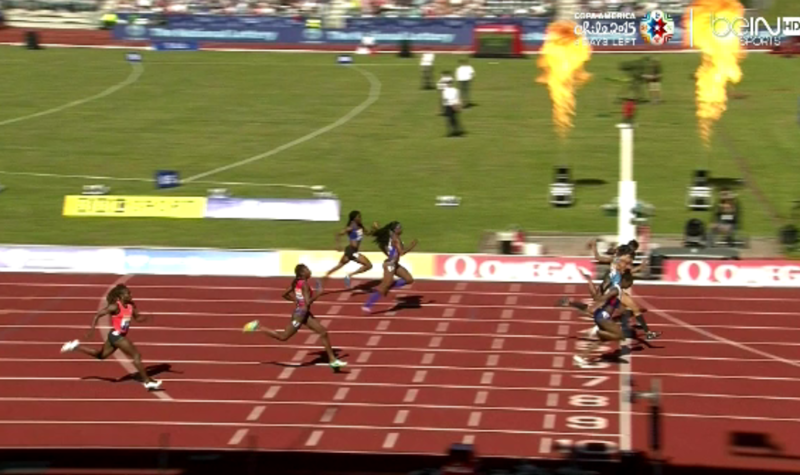 She’s only 19 years old and she nearly took down Allyson Felix and Jeneba Tarmoh. The British press loves to hype the chances of its hopefuls, but there is no need to hype Asher-Smith anymore. Her running speaks for itself. In the first Diamond League 1500 of the year in Doha on May 15, Hassan finished second behind Dawit Seyaum. At the Pre Classic on May 30, she finished third behind Jenny Simpson and Mercy Cherono. And on Thursday in Rome, Cherono was second, losing to — you guessed it — Simpson. Simpson wasn’t in Birmingham on Sunday, and Hassan, running her third 1500 in nine days, took full advantage, notching her first DL victory of the year in 4:00.30, well ahead of runner-up Abeba Aregawi in 4:01.97. 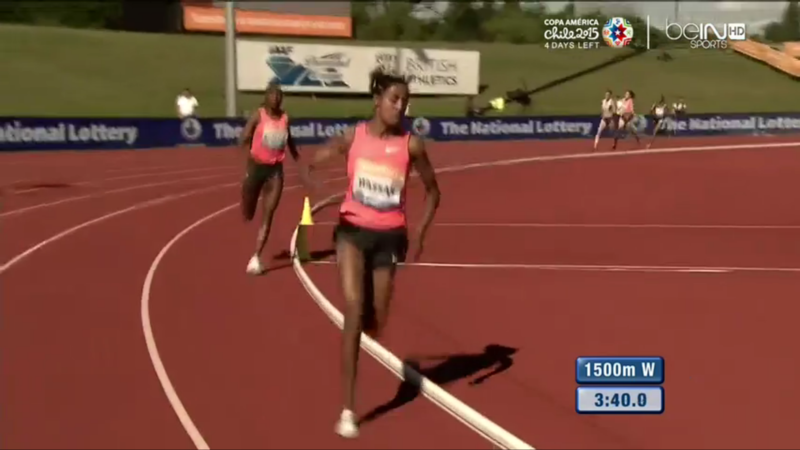 The rabbit hit 400 in 63.28 with Ethiopian Gudaf Tsegay a few meters behind her. Surprisingly, Hassan was right behind Tsegay in third (second racer). Usually Hassan’s M.O. is to go out slowly before moving towards the front in the second lap; though she was near the back to begin this race too, she moved up much earlier than normal and was with the leaders before the end of the first lap. By 600 meters, Hassan had assumed the lead (only behind the rabbit) as she, Aregawi and Tsegay began to separate from the field. The rabbit dropped out at 800 (2:09.90; 65.62 lap) and Hassan started to make her long drive toward home, dropping Tsegay. By the bell, she and Aregawi had put 15-20 meters on the field. The clock read 3:13.49 at 1200 for Hassan (63.59 lap) and on the backstretch she opened a slight lead on Aregawi. Pushing hard on the final turn, that gap started to grow and Hassan began to really open up on the homestretch, winning handily by 1.67 seconds. Aregawi was second, with Britain’s Laura Weightman finishing a distant third in 4:06.42. After the race, commentator Stuart Storey said “I think Jenny would have had problems with Hassan on this occasion” and he was right. 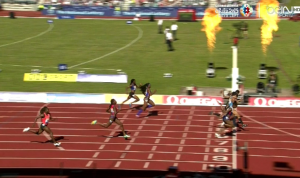 Simpson beat Hassan at Pre and in Rome, but she really had to work for it in Rome. 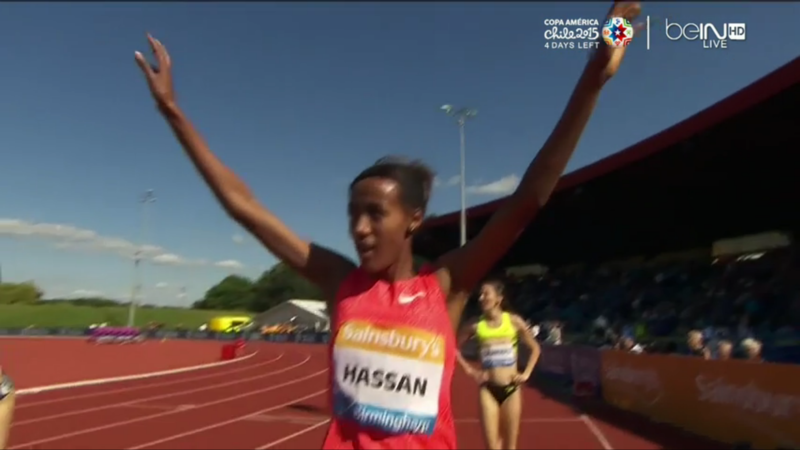 That’s not to say she couldn’t have beaten Hassan in Birmingham as well, but it would have been a tough ask as Hassan looked very good in the last lap (which she ran in 62.05 seconds) after employing a more aggressive race plan than usual. Right now, Simpson is a cut above Hassan and Seyaum (who scratched from this race), but today’s performance showed that the gap isn’t huge and that Hassan is still dangerous. Aregawi, the defending world indoor and outdoor champion, was a disappointing seventh in the DL opener in Doha (4:04.42) but she ran a solid 1:59.98 to take fourth in the 800 and Pre and recorded her best 1500 of the year with a 4:01.97 today in Birmingham. She still has work to do if she wants to beat Hassan and Simpson in Beijing, but today’s race was a step in the right direction. While still an official DL event, this field wasn’t quite DL-quality, which meant it was an opportunity for the Americans — Gabe Grunewald, Morgan Uceny and Stephanie Brown. Unfortunately, none of them ran particularly well, as Grunewald was seventh in 4:08.61, Uceny eighth in 4:09.31 and Brown dead-last in 4:20.57. Even with four spots available, the U.S. team at 1500 is going to be very tough to make this year and today’s performances weren’t encouraging for Grunewald, Uceny or Brown. “This week has been very stressful and taken a lot out of me. I have not been able to focus properly on today’s race and after the events of the last few days feel emotionally and physically drained. I want to run well in the IAAF World Athletics Championships in Beijing and have decided it is better for me to go back to the US, seek answers to my questions and get back into training. Rabbit Bram Som went out in a quick 55.60 for the first 400, but after one lap he had a gap of about 15 meters on the field. That gap grew slightly by 800 (1:56.58 for the rabbit, 1:58-mid for the pack) despite a slow 60.98 second lap. At that point, the entire field was grouped into one pack, with Vincent Kibet and Hillary Ngetich up front. Kibet and Ngetich began to drop the pace on the homestretch of the penultimate lap, and by the time they came through 1200 (2:56.69; 60.21 lap), those two plus James Magut and Brit Jake Wightman were beginning to separate from the field. Midway through the final bend, Magut went to the lead and he hit the gas as the runners entered the straightaway. From there, it was all Magut, as he streaked away from Ngetich, Kibet and everyone else, winning easily in 3:37.61 to Ngetich’s 3:38.42. Wightman faded to last place, while Bernard Lagat broke the world masters record — barely (by .15 of a second) — by taking eighth in 3:41.87. 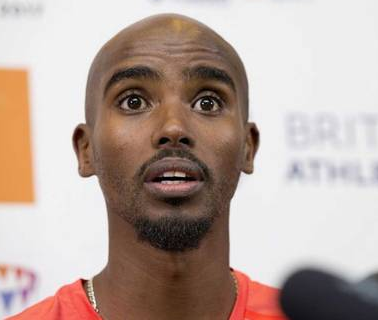 Farah said that this week had been very stressful for him and though we don’t doubt that, it is a bit surprising that he withdrew mere hours before he was scheduled to race, especially considering he flew a long way from Portland to be here. 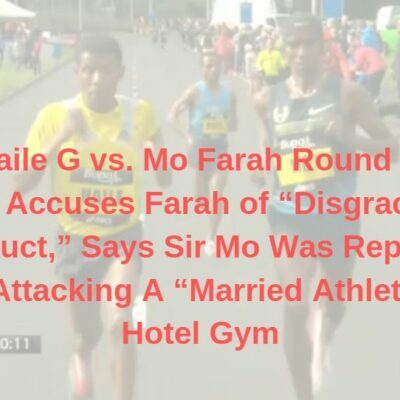 Farah may have arrived in the UK before the news about Alberto Salazar and Galen Rupp broke on Wednesday and it’s likely he had some sponsor commitments in the UK to deal with as well. Credit to Farah for getting in front of the media on Saturday, though it’s unfortunate for the fans, who bought tickets expecting to see stars like Farah and Jessica Ennis-Hill (who withdrew earlier in the week) and wound up seeing neither. This was a non-DL race, so without Farah the field was weak. Add in windy conditions and the decision by the field not to go with the rabbit and that’s why the winning time was just 3:37.61. Magut, who was fifth in the Bowerman Mile at Pre, was the class of the field on paper (3:30.61 PR; only Lagat’s 3:26.34 from 2001 is faster) and with Farah out he was the favorite. He certainly acted like it, as when he made his move with 100 to go, there was no doubt he was the best man in the field. 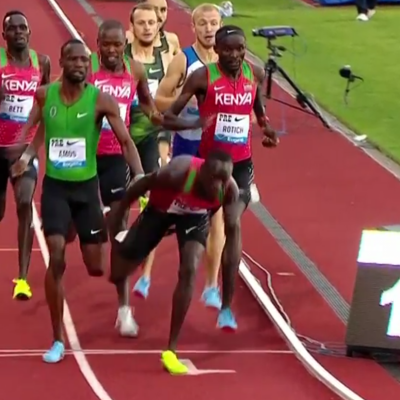 A solid win, but it won’t strike fear into the hearts of Souleiman, Kiprop, etc. Bernard Lagat didn’t have a great race, finishing eighth overall, but despite the windy conditions, he still broke Anthony Whiteman’s three-year-old world masters record of 3:42.02, running 3:41.87. It isn’t the fastest 1500 ever by a master though, as Lagat certainly split faster when running his 3:54.91 indoor mile at Millrose in February. 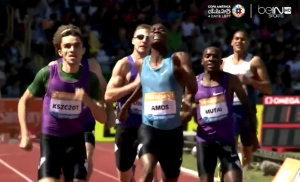 Nijel Amos was rewarded for his perseverance by getting his first Diamond League win of the year. Sammy Tangui, David Rudisha’s rabbit, took the field through 400 in 50.72 with the first racers just over 51 seconds. There was a fall just after 400m with Guy Learmonth going down. Tangui rabbited through 500 and Jeremiah Mutai had the lead. There was a gusty wind on the backstretch slowing times all day and it kept the entire field in this one including 19-year-old Brit Kyle Langford, who moved up on Mutai’s shoulder. 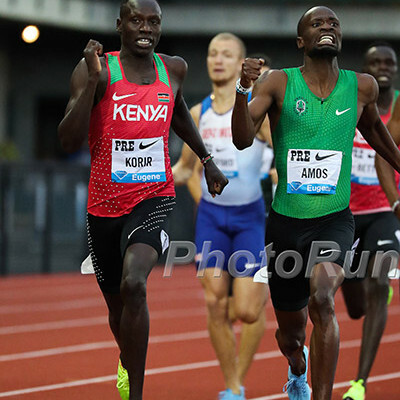 Coming around the final bend, seven guys were still in contention with the favorite Amos, who was runner-up to Mo Aman at the Pre and Rome 800s in the last week, perfectly positioned off the shoulder of Mutai. Once they hit the final straight Amos struck and powered ahead to the lead. Adam Kszczot of Poland was coming from further back off the final turn going wide and he tried to catch Amos but could not as Amos won in 1:46.77 to Kszczot’s 1:47.03. Erik Sowinski was back of the pack of seven with 100 to go and could not make a late charge, finishing in 6th. The Diamond League needs to do a better job with its schedule. This was the third Diamond League 800 in nine days (the 800 at Pre didn’t count in the DL standings, though). There is no excuse for that. There are 14 Diamond League events with each discipline held seven times during the season so there is no reason for an event to be held at two meets in a row. Definitely no reason for a discipline to be held three times in a row, especially when those meets are eight days apart. QT #2: Amos did what was expected and win. Fault the time if you want (it was windy) but without Amos this field would have really been lacking in quality. The men’s 5,000 in Birmingham felt more like a high school dual meet than a Diamond League race. By three kilometers, Kenyans Isiah Koech (bronze medal at 2013 Worlds) and Thomas Longosiwa (bronze medal at 2012 Olympics) had gapped the field and their lead only grew over the next few laps, reaching over 40 meters by 3800. Longosiwa made it apparent that he had no interest in doing any of the work, so Koech continued to lead, running 64.71 from 3400 to 3800 and 65.54 from 3800 to 4200. The chase pack didn’t make up much, if any, ground despite the slow pace, so it was clear that one of Koech and Longosiwa was going to win. 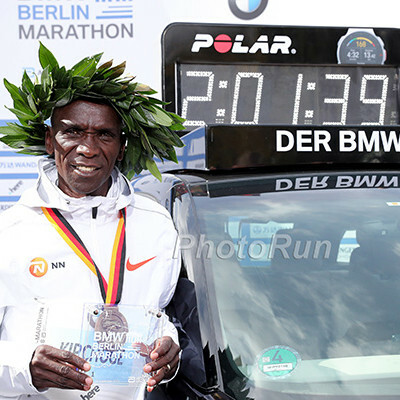 With two wins over Koech already this year (7:39.22 to 7:40.39 over 3,000 in Doha on May 15; 12:59.78 to 13:07.33 in Rome on Thursday), Longosiwa knew he was the better runner and he acted like it. The race was reminiscent of a high school meet where two guys are way better than the rest of the field but one of them has a much better kick and just sits on the other guy until the end of the race. And that’s exactly what Longosiwa did, making his move at 500 and putting 10+ meters on him within 200 meters. He cruised over the final 400 (57.12), winning by almost four seconds in 13:07.26, a good time considering the wind and sit-and-kick nature of the race. Hagos Gebrhiwet, who was third in Rome on Thursday and would have been favored to win here, withdrew prior to the race, weakening an already-weak field. Add in bad days by Edwin Soi (4th in 13:21.07) and Stephen Sambu (6th in 13:25.13) and the result was that only two men broke 13:20. The Rome 5,000 was fantastic (eight men under 13:01), this one considerably less so. Koech didn’t push the pace once he and Longosiwa gapped the field at the 3,000-meter mark. Whether that was because he didn’t have a desire to try or simply because he was tired (he ran 13:07 in Rome three days ago), when he couldn’t drop Longosiwa, it just became a question of when Longosiwa would make his winning move. The answer was 500 meters to go, and once Longosiwa went, it was over quickly. A lot was expected this season of Robertson, who ran 59:47 for the half marathon in February, but he missed the World Championship standard in the 10,000 at Pre (running 27:46.82) and was a disappointing eighth today, running 13:40.88. When we spoke with Robertson after his half marathon in February, he said his goal was to challenge for the gold medal in the 5,000/10,000 at Worlds, but he seems pretty far removed from that goal right now. Robertson has been training with marathoners the last few years, so his track speed understandably might not have come around yet. There’s still two and a half months until Worlds, but unless he makes a massive improvement between now and then, a medal (of any color) seems unlikely. Virginia Nyambura, the winner of the season opener in Doha, won a battle of the two previous Diamond League winners as she ran away from Hyvin Kiyeng, the winner in Rome, after the final water barrier. There was no rabbit in this one and with wind hampering runners all day on the backstretch this one went out surprisingly at a decent clip of 3:06 the first km. Things slowed to 6:15 the second km as four Kenyans –Nyambura, Kiyeng, Lidya Chepkurui, and Magdalene Masai — began to separate themselves from the field led by Stephanie Garcia of the USA, who was coming into the race off a huge 1500m PR. Garcia kept battling and by the bell was at the back of the pack with the top four as five women were in contention the final lap. Nyambura and Kiyeng were in front the entire final lap and it was no contest after the final water barrier for Nyambura. Garcia rallied to take fourth. Nyambura is the success story in the steeple in 2015. 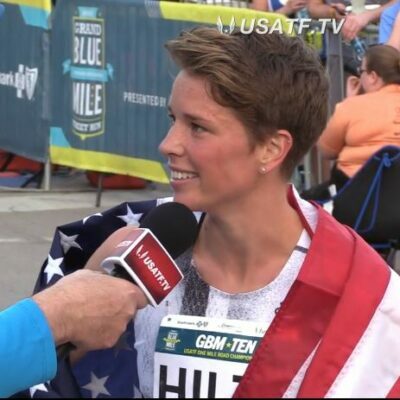 She won the Doha meet with a 37-second pr after starting the race as the rabbit. She nearly won in Rome but didn’t have the best hurdling form. 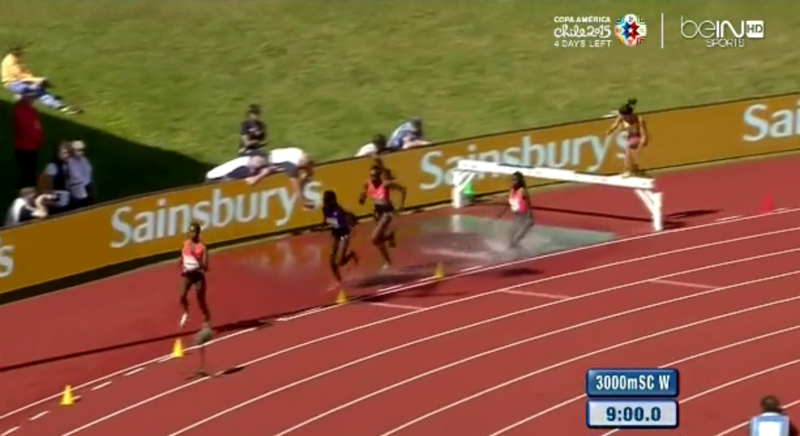 Today instead of faltering over the final water jump she pulled away from Kiyeng for the win. Garcia did not get her PR of 9:24.28 but to do that she would have had to win the race in windy conditions. 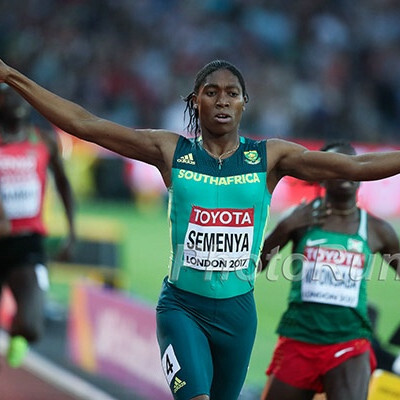 However, she was in contention in a Diamond League race at the bell and brought down her season’s best from 9:37 to 9:27. Sum’s unbeaten season continued as she added a (non-DL) win in Birmingham to victories in Shanghai and at the Pre Classic. Sum’s winning time of 1:59.85 was over two seconds slower than what she ran to beat Ajee Wilson at Pre, but it was more than enough to win on Sunday. 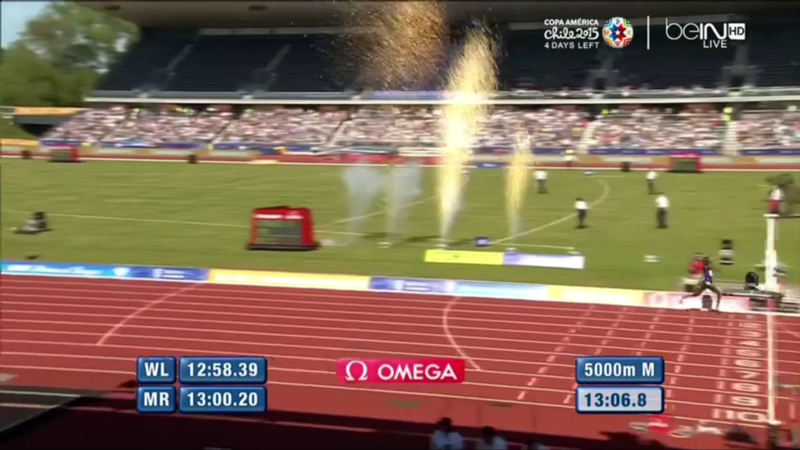 Great Britain’s Laura Muir PR’d at this meet for the second consecutive year, running 2:00.42 for second. With no Justin Gatlin, Usain Bolt, Tyson Gay or Asafa Powell, this race was wide-open and in the end, 21-year-old American Marvin Bracy held on to win a tight race in 9.93, a PR and his first career Diamond League victory. The times were pretty fast thanks to a +2.0 m/s tailwind, and second place went to another 21-year-old, Brit Adam Gemili, who ran his first career wind-legal sub-10.00 at 9.97 (he ran the same time with a +3.7 m/s wind last weekend). Unfortunately, Gemili had to be carted off after the race as he went down grabbing his right hamstring. After hitting a hurdle and running 25.21 (not a typo) in Rome on Thursday, Stowers was DQ’ed for a false start in Birmingham. 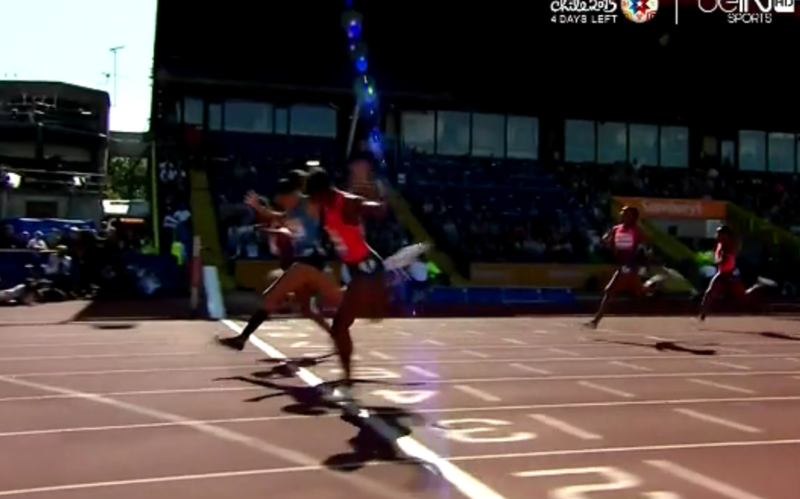 That opened the door for Dawn Harper-Nelson, who ran down Brianna Rollins and Tiffany Porter off the final hurdle to win in Birmingham for the third consecutive year in 12.58. Jamaica’s Kaliese Spencer earned her 20th career Diamond League victory, running 54.45 to hold off a hard-charging Cassandra Tate of the United States. World champ Zuzana Hejnova of the Czech Republic was third, improving on her 55.13 she ran in her first 400 hurdles of the year last week in Ostrava. Olympic champ Greg Rutherford got out to a season-best 8.35 on his second jump and passed on his final three attempts as that mark held up for the win. Croatia’s Sandra Perkovic grabbed her second win in four days, throwing 69.23 on her first throw to win by almost five meters. With no Pedro Pablo Pichardo in the field, American Olympic champion Christian Taylor won handily with a 17.40 jump. The shortest of Taylor’s five fair jumps (17.14) still would have won the competition. With no Valerie Adams, Germany’s Christina Schwanitz took advantage, tossing 19.68 on her second throw to take her third career DL victory. Cuba’s Orlando Ortega got the win in this non-DL event but could only manage a 13.20 despite a +1.5 m/s tailwind. Poland’s world indoor champ Kamila Licwinko jumped 1.97 meters for the win as Poles went 1-2. 2011 world champ Fabiana Murer of Brazil secured the win, clearing 4.72 before missing three attempts at 4.82. American Mary Saxer was second with a season-best 4.62. South Africa’s Wayde van Niekerk set an African record to win the rarely-contested 300 meters in 31.63 ahead of the Bahamas’ Chris Brown. 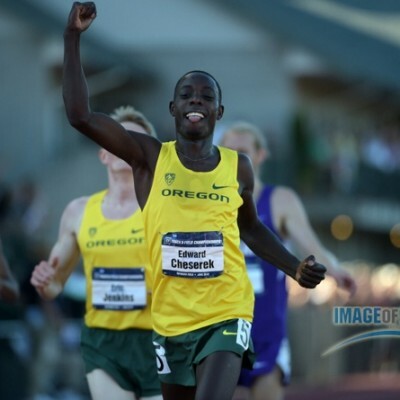 2018 Pre Classic Friday Night Preview: King Ches Returns to Hayward As A Pro; Are You Ready for Two LOADED Men’s Races (800 & 2 Mile)?